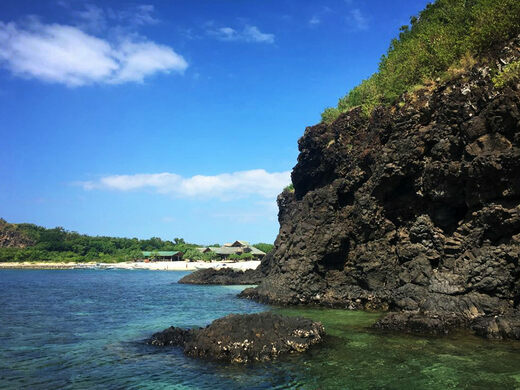 Located off the coast of Anilao, which is dotted with hostels and resorts catering to the many scuba divers who flock to the Philippines’ coral reefs, the island of Maricaban is also quickly becoming a hotspot for developers. 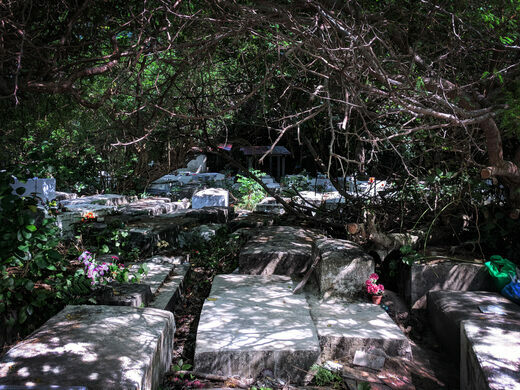 Yet one stretch of beach remains untouched, because just 20 feet beyond the pristine waters, behind a curtain of foliage, lie nearly 100 concrete graves. 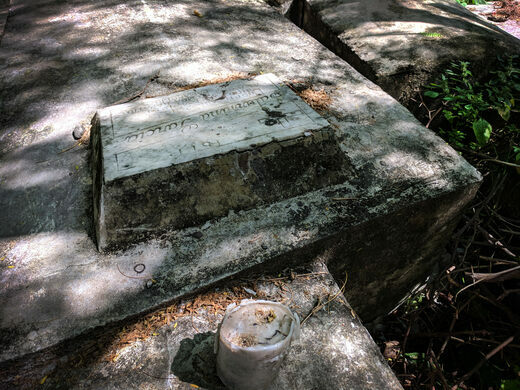 A thick brush of grass and thorny weeds carpet the cemetery floor, making it nearly impossible to move through without climbing upon the tight grid of six-foot-long concrete blocks. The cemetery holds the deceased loved ones of the residents of Maricaban, the municipality of Tingloy, and its surrounding areas. 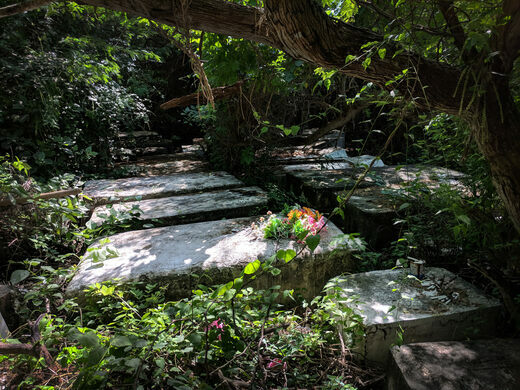 When the cemetery was first founded, it was set about 1,600 feet (500 meters) from the shore, far away from the waves, but due to rising tides, the dearly departed now have beachfront real estate. Locals even tell of how a storm flooded the cemetery not too long ago, dragging some remains out with the tide. Today, no evidence of these remains exists among the crystal clear waters of Maricaban. That may soon change, however, with many concerned that the cemetery might one day sink beneath the waves. The once-grand remains of this resort are slowly turning into the strange ruins of the future.